N-Acetyl-L-Tyrosine (NALT) is an acetylated derivative of the non-essential amino acid L-tyrosine. Due to the acetylation it is suggested that NALT is more rapidly absorbed than tyrosine — helping you to reach your training goals. 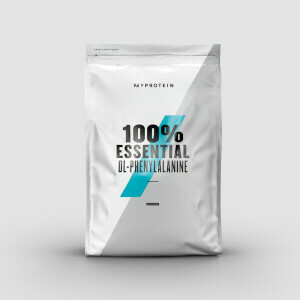 Why choose 100% N-Acetyl L-Tyrosine? 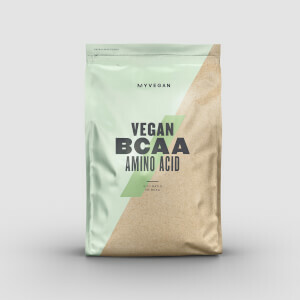 Amino acids occur naturally in protein which helps to build and repair new muscle1 — super-important whether you’re trying to build muscle or get shaped and toned. When to take 100% N-Acetyl L-Tyrosine? Add 300mg to your preferred amount of water or fruit juice, shake and consume. Use 1-2 times daily. You can also add it to your usual everyday shake. Please do not exceed more than 2 servings in 1 day. What does 100% N-Acetyl L-Tyrosine work well with? Has to be taken on an empty stomach to work. It's wasted if mixed with protein, or taken with food. Best results, take at least 30 - 60 minutes before breakfast, and not good taken later than midday/early afternoon or it can prevent sleep caused from becoming too allert and active. Fruit is an occasional exception. Possibly, co-factors aren't required for this form of excitatory neurotransmitter. "I have been using NALT for a while now, and the effect IMO is noticeably more potent than normal l-tyrosine. What can i say - its simply an awesome nootropic! Brilliant before training wihtout the stimulant jitters. However, if you did want to combo it with a stimulant, a half tsp of chacmine and you are FLYING! I have used the MP caps which are great but not all that cost effective, so im really happy MP have bought it out in the more cost effective powder form." Not as good as other simulants but for its price its very good. I sometimes mix it in my coffee and that gives pretty good effects. Its great for energy and mood. Decided to give this supplement a go to give me an edge whilst cycling to work and also keep me mentally focused during my working day. First of all it mixes really well in my protein and the unflavoured version is exactly that. I'm not one for writing negative reviews however I do like to be honest and I notice absolutely no difference/benefit after taking this supplement. Perhaps I'm immune, maybe I should increase the dosage, its a shame as it was exactly the kind of supplement I was looking for. I Will persevere with the remainder I have left perhaps taking it stand alone and at different times to see if that has any impact. I was amazed how well this works. I take it on an empty stomach before training or any time when I feel tired and mentally sluggish (up to twice a day). It dissolves pretty well in water and doesn't taste of much. It take effect really fast- I feel mentally sharper and stimulated but in a better way to the blunt stimulating effect of caffeine. Stacked with acetyl carnosine and ALA it's great pre-workout boost and anytime energise and aid focus. I have tried a lot of supplements and this is in my top 3 (along with Creatine and Beta-Alanine). This alone improves mental alertness and focus. It can delay the feeling of fatigue (mental and physical). Brilliant supplement. e.g after having 4 hours sleep, going to work and the to the gym. Taking this at around 5pm. I am still functioning and NOT tired past midnight.